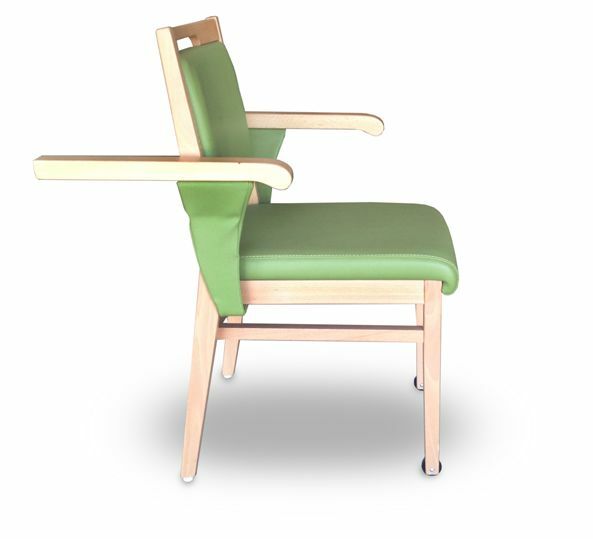 Handy and functional, the range of Complys chairs was designed to be stacked for storage. Its multiple choices of colors, coatings and wood finishes make it elegant and design. 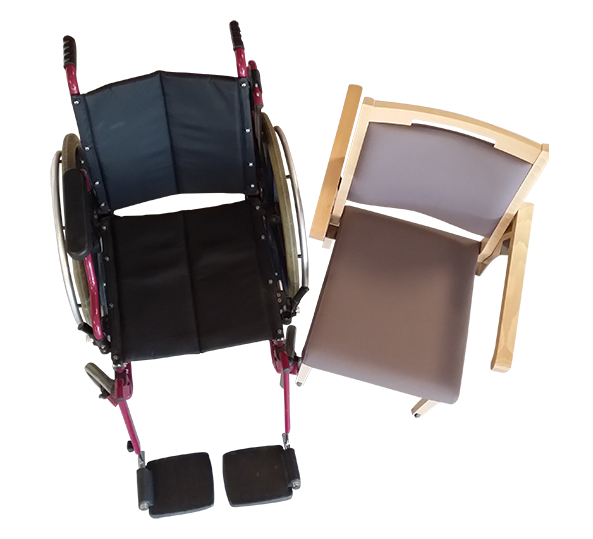 Its ergonomic handle on the backrest allows the Complys® range to promote a good grip for moving. 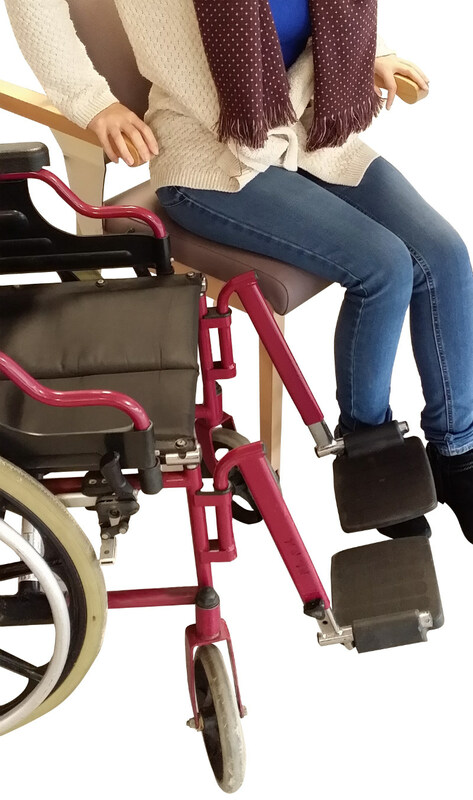 • simplifies wheelchair transfers thanks to its sliding armrests. 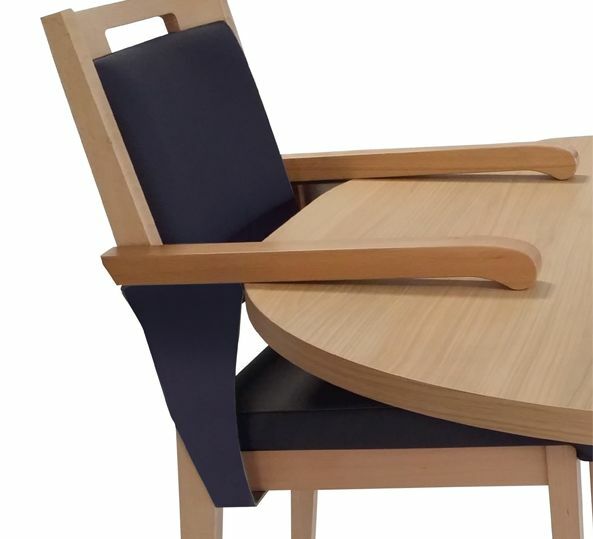 Complys® is an easily-movable bridge chair that can be stacked for storage. The fabric has been tested to withstand extensive handling, friction and frequent cleaning. A choice of colors and finishes to suit every interior. A large range of colors and wood finishes is available. To personalize your design, make an appointment with one of our area managers.